No fewer than 38 universities across Nigeria have jerked up their fees in an increment which might be attributed to poor funding by the federal and state governments. In a statement released on Thursday by the Chairman of the Academic Staff Union of Universities (ASUU) - the University of Ibadan chapter, Dr. Deji Omole, no fewer than 38 universities across Nigeria have increased their school fees. According to reports, the latest increment might be attributed to poor funding by the federal and state governments as ASUU poorly rated the President Muhammadu Buhari in the area of funding of university education. 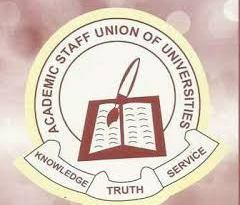 ASUU also noted that it will be difficult for any Nigeria university to effectively compete globally with the attitude of Buhari not to allocate enough budgetary allocation as prescribed by UNESCO to fund education. The statement which assessed the two years of Buhari in office, lamented that the current government had made Nigerians poorer, adding that public education was not taken seriously because most children of the rich and those in high offices do not school in Nigeria.